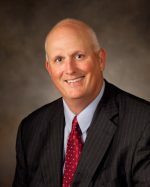 Ed Brundick - Glassman, Wyatt, Tuttle, and Cox, P. C.
Ed has lived in Memphis for over 30 years and is a graduate of the Fogelman College of Business and Economics and the Cecil C. Humphreys School of Law at the University of Memphis. He has served as a staff attorney for Morgan Keegan & Company, specializing in Securities Law and the Investment Advisors Act of 1940, as the Director of Wealth Management for Morgan Keegan, as the Chief Operating Officer of a Memphis based registered investment advisor, as Managing Director of a Memphis based private client group, and as the Market President of a Louisiana based trust company. Ed has also enjoyed serving as an adjunct Professor of Real Estate Finance at the University of Memphis. Ed is a state of Tennessee Rule 31 Listed Mediator, a CERTIFIED FINANCIAL PLANNER® (CFP®) and a Certified Investment Management Analyst (CIMA®). He is licensed to practice law in Tennessee and Arkansas and has assisted clients as a financial forensic consulting expert in numerous wrongful death and medical malpractice cases and performs economic forecasting for property divisions in divorce cases. President elect of the U of M Law School Alumni Board and will take over for Richard in July. Preventing accounting malpractice lawsuits – and what to do if you face one. The role of the financial neutral in a collaborative divorce. Ed is married to Ginny Dowell Brundick and has three children: Mary Olivia, Anne, and Louis. He is a zealous supporter of the University of Memphis, an avid hunter, and baseball coach.